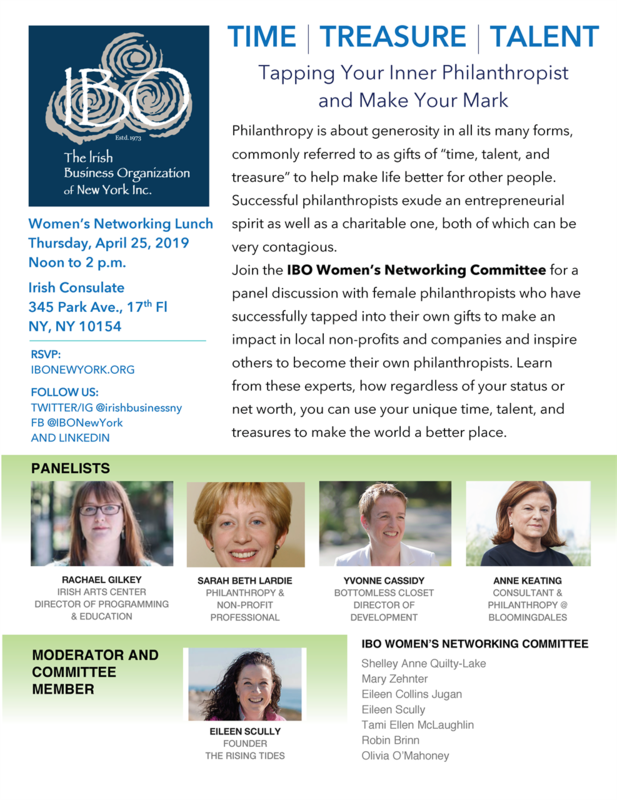 This quarterly initiative for 2019 provides additional networking events and opportunities for professional women. Inspiring female thought leaders and speakers are selected by the IBO and invited to educate, inspire, and motivate attendees. Participants will have the opportunity to listen to dynamic speakers, network and engage with attendees during these lunch meetings. This new series is open to IBO members and their guests, including our male members and friends. We happily extend our real business connections and Irish hospitality to all. 5:00 p.m., Wednesday, April 24, 2019.